Is Being Bad Good for the Economy? 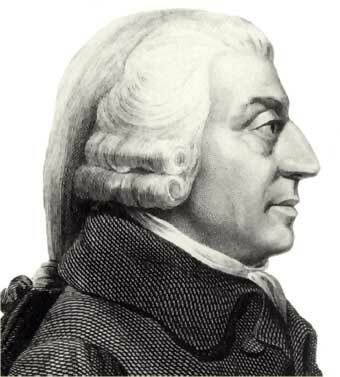 Adam Smith did indeed say: “It is not from the benevolence of the butcher, the brewer, or the baker that we expect our dinner, but from their regard to their own interest.” Many free-marketeers would suggest that this is how a healthy economy should work, and that social issues will take care of themselves. Ha-Joon Chang, however, suggests something different. He suggests that perhaps we are not completely driven out of self-interest (including the interest of our families). How does this all jive with what we have been learning about consumer choice theory and producer theory? What is taught in the textbooks seems to contradict what Chang is saying and supports the free-marketeers. Question: As humans, are we completely driven by self-interest? If so, what does this say about the future of a sustainable world? If not, what else drives us and can you provide examples? Please ensure that you are reading what your peers are saying and that you use contemporary examples to help your case. Be nice to each other and have fun. I have also included two videos from the “Nice Lady”; one on consumer choice theory and the other on producer theory. Good luck and please respond by Friday. For those of you who missed it because you were on the hockey trip, here is a little taste of our visit with David Asper. I took some notes using “Skitch”; great app for Apple computers.